More and more tasks require efficient processing of continuous queries over scalable, distributed data streams. Examples include monitoring over battery-operated IOT and smart systems, optimizing systems using their operational log history, mining sentiments using sets systems of crawlers, and data fusion over heterogeneous sensor networks. However, distributed mining and/or monitoring of global behaviors can be prohibitively difficult. The naïve solution which sends all data to a central location mandates extremely high communication volume, thus incurring unbearable overheads in terms of resources and energy. Furthermore, such solutions require expensive powerful central platform, while data transmission may violate privacy rules. There is no need for any of the data sources to transmit anything as long as all constraints are held with the local data confined to the local safe zone. The typically-rare violations are handled immediately, thus the latency for discovering global conditions is negligible. The safe zones approach makes the overall system implementation, as well as its operation, much simpler and cheaper. The saving, in terms of communication volume, can reach many orders of magnitude. The talk will describe a general approach for compiling efficient safe zones for many tasks and system configurations. 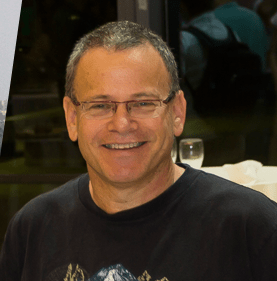 Professor Assaf Schuster of the Computer Science Department at the Technion is an ACM fellow and a world leading expert of distributed and scalable data Mining, Big Data technologies analytics & prediction, Cyber security and system vulnerabilities, privacy preserving, cloud resource management and more. Prof. Schuster published more than 200 papers in highly selective conferences and journals, some of which won prestigious awards. He consulted leading hi-tech companies and participated in the bumpy journey of quite a few startups, some of which were successful. His research group is well known for its contributions to the field of big data and scalable, real-time knowledge discovery in distributed data streams. Most of the emerging scenarios in the area of pervasive computing and smart cities involve a very large number of interacting autonomous mobile components. In my talk, I argue that the peculiar features of such emerging socio-technical systems (up to millions of interacting components, geographically-distributed over vast areas, mixing humans and artificial components, and lacking any form of central control) call for radically novel approaches and middleware infrastructures to coordinate their overall activities and functionalities. In this context, I will overview some representative scenarios of emerging large-scale urban systems, with a particular attention to scenarios related to the coordination of mobility patterns. Following, I will discuss the key challenges to be faced by research in coordination models and middleware infrastructures, and eventually sketch some promising research directions. 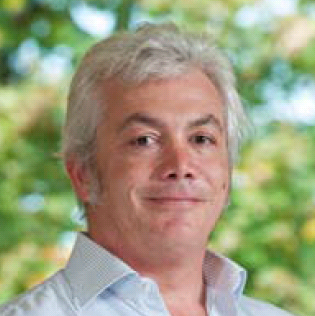 Franco Zambonelli is full professor of Computer Science at the University of Modena and Reggio Emilia. He got his PhD in Computer Science and Engineering from the University of Bologna in 1997. His research interests include: pervasive computing, multi-agent systems, self-adaptive and self-organizing systems. He has published over 90 papers in peer-reviews journals, and has been invited speaker at many conferences and workshops. He is the co-Editor in Chief of the ACM Transactions on Autonomous and Adaptive Systems, and he is in the Editorial Board of the Elsevier Journal of Pervasive and Mobile Computing, of the BCS Computer Journal and of the Journal of Agent-Oriented Software Engineering, and he is in the Steering Committee of the IEEE SASO Conference. He has been scientific manager of the EU FP6 Project CASCADAS and coordinator of the EU FP7 Project SAPERE. He is ACM Distinguished Scientist, member of the Academia Europaea, and IEEE Fellow.